Zoned Community Commercial-LOCATION IS THE KEY WORD! 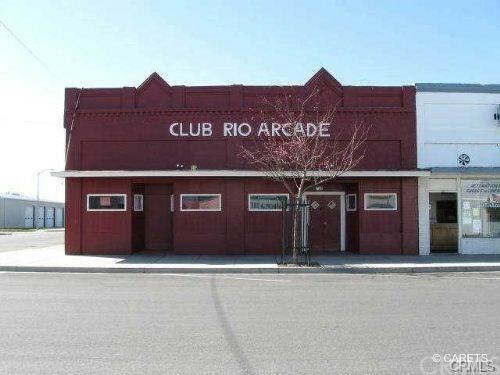 This kind of opportunity doesn't come around often in a busy downtown location, large spacious building on corner lot with tons of potential. Located only a block away from HWY 32 (AKA as Walker St) and within close proximity to I-5. The building offers a spacious interior, which is divided into three separate areas with four exit points. Built on a slab foundation, building is wheel chair accessible, contains ceiling fans, storage room, separate baths, lounge area, alley access and enclosed backyard. Only two short blocks away from City Hall and Police Department. This is a real opportunity to capitalize on all the new excitement which is taking place in Downtown Orland. Information is deemed reliable, buyer is advised to verify. Directions: From Walker Street, turn south on 5th street. Listing will be on the corner of Colusa and 5th streets.